Hello all, the names Clive. Picked up a 2000 Ducati Monster 900ie last year, needed a little work to make it road worthy. All set now just waiting for a dry day. Very nice. Loads of great information here, use the search and enjoy. Good luck, its finally turning but this was the wettest NorCal spring I can remember. Further North was even worse I can only imagine. 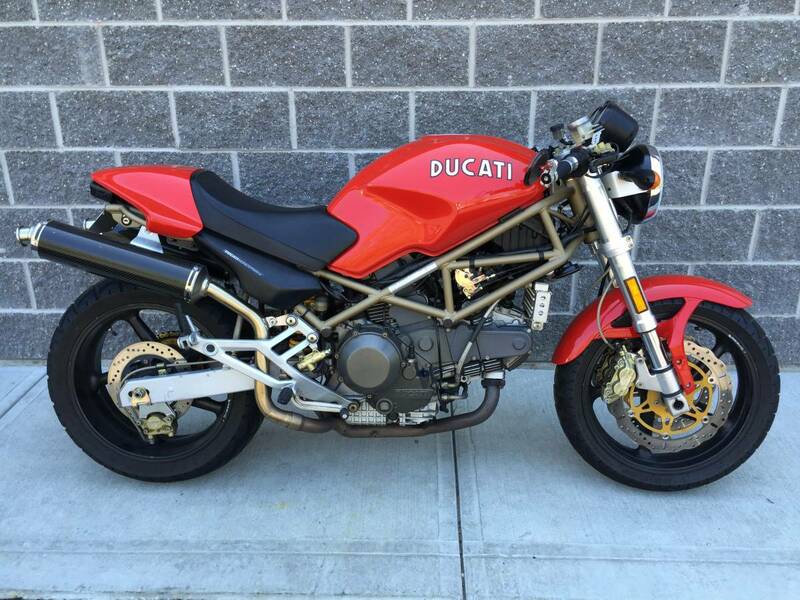 Good looking Monster, gold frame, red tank, high pipes. was that logo on the tank OEM? Ive not noticed one like it before. Not sure about that, paint is in excellent condition no blemishes at all. So considering it's a 19 year old bike I'm guessing it's been resprayed.